December 2011, Russia saw the largest series of demonstrations and protests since the collapse of the Soviet Union 22 years ago. More than 100,000 people took to the streets in temperatures as low as -20C to protest against widespread fraud and an increasingly authoritarian government. On March 4, Vladimir Putin was re-elected for his third term as President against a background of further corruption and repression. Acclaimed theatre company Jericho is collaborating with the Bush Theatre to develop a piece responding to these crucial recent events. Writer and director Jonathan Holmes is working with designer Lucy Wilkinson and three performers to create the foundations for this thrilling new project. Witness the early stages of this production that will explore what is currently happening in Russia, as well as the historical roots of the crisis. Jonathan Holmes is the director and founder of Jericho House. In 2007 he wrote and directed the testimony play, Fallujah. In 2008, with The Sixteen, he revived Henze & Bond’s opera Orpheus Behind the Wire at the South Bank Centre, and in 2009 his testimony play Katrina, about New Orleans and produced in association with the Young Vic, sold out for a month in a warehouse in Southwark. In 2010 his documentary feature film, Perpetual Peace, was premiered at the South Africa International Film Festival. It followed previous documentary shorts made in Uganda, Kenya, Argentina and Antarctica. With the Royal Ballet, he recreated the Inigo Jones/Ben Jonson masque Love Freed from Ignorance and Folly at Wilton’s Music Hall in new year 2011, and he also wrote the libretto for Liza Lim’s opera The Tongue of the Invisible based on the poetry of Hafez, which premiered in Amsterdam and Koln. He was consultant on Freedom Studios’ site-specific project The Mill, in Bradford in 2010-11. His original play Into Thy Hands premiered at Wilton’s Music Hall in June 2011, while in Autumn of the same year his production of The Tempest toured Palestine/Israel before returning for a five-week run at the Barbican. In 2012 he is developing two plays about Russia, one of them at the Bush Theatre, and will premiere the monologue Old Earth by Samuel Beckett at Spitalfields Music Festival in collaboration with The Sixteen. He is also developing a new site-specific piece for National Theatre Wales, to open in March 2013. He has a Ph.D from The Shakespeare Institute and for six years he taught Drama and English at Royal Holloway, University of London. Whilst there he published many articles and two books on Renaissance poetics. In 2005 he recovered and premiered several songs by John Donne at St. Paul’s Cathedral, where they were performed by Dame Emma Kirkby, The Sixteen, and Carolyn Sampson. He has also written for a variety of periodicals and newspapers, including Modern Poetry in Translation, Shakespeare Survey, The Guardian, The Independent and The Times. Lucy is a freelance producer and Associate Producer for nabokov. Revolution Square is her first project with Jericho House. She was recently Associate Producer at the Bush, where she produced Sixty-Six Books. Credits include: Young Pretender (Edinburgh Festival and tour); All That is Solid Melts into Air (tangled feet, Greenwich + Docklands International Festival); Present : Tense (Southwark Playhouse); In The Beginning (Bush Theatre, Westminster Abbey), Remote Control (tangled feet, Resolution! Festival, The Place); Plain Jane (Manchester Royal Exchange); Cyrano de Bergerac (White Bear); Some Stories (Blacks Club, Soho and Temple Works, Leeds); never enough to live in the now (Hampstead Theatre); The Day that Shook the Nation (Liverpool Everyman); The Office the Opera (Proud Galleries and Comic Relief 2009). Lucy has also been a producer for Old Vic New Voices, working on Time Warner Ignite 2, 24 Hour Plays (2010) and at the Public Theatre, New York for the 2010 TS Elliot UK/US Exchange. Lucy Wilkinson is the Associate Designer with Jericho House. She holds a first class BA[hons] in Illustration/Animation [Manchester], BA[hons] English Literature [Oxford], and a Postgraduate Diploma in Theatre Design [Bristol Old Vic Theatre School]. She was short-listed for the 2005 Linbury Prize, and the Jocelyn Herbert Award for Stage Design. Design credits include: Revolution Square, The Tempest, Into Thy Hands, Love Freed, Katrina, Fallujah (Jericho); The Great Gatsby (Wilton’s Music Hall), Frozen (Riverside Studios), Company, Chook Chook (Bristol Old Vic), A Small Family Business, The Marriage of Figaro (Redgrave Theatre, Bristol), Iolanthe (Minack), Much Ado About Nothing (RSC Swan), The Marriage of Figaro (Warwick Arts/tour), Rapunzel, Romeo and Juliet, Passion of Christ, Grimm’s Tales, Measure for Measure (Creation Theatre); Taming of the Shrew, Romeo and Juliet, (Guildford Shakespeare); The Games, 1936, Attic (Fresh Festival, Colchester Mercury); Larkrise & Candleford (Oxford School of Drama). Assisting credits include: The Wizard of Oz, Carmen Jones (Royal Festival Hall); The Merchant of Venice (Galaxy Theatre, Tokyo); The Tempest (Tara Arts) and Journey’s End (Colchester Mercury). Lucy designed the Jericho House logo, website pages and production posters. Freelance illustration work includes the cover design for the international Modern Poetry in Translation. Helen trained at Webber Douglas Academy of Dramatic Art. Previous work for Jericho House includes Into Thy Hands (Wilton’s Music Hall). 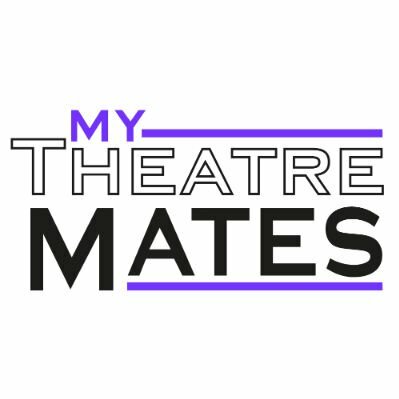 Other theatre includes Betrayal (Chester Gateway), Acid Hearts (Finborough Arms), The Traveller (Leicester Haymarket / Almeida), Marya (Old Vic), The Country Wife (Mermaid), Les Liaisons Dangereuses (Ambassadors, West End), East, A Clockwork Orange (Edinburgh Festival). Television includes: Doctors, Midsomer Murders, Web of Belonging (C4 film), Holby City, A Touch of Frost, The Savages, Wycliffe (Series 1 to 5 and Christmas Special), The Paul Merton Show, Drop the Dead Donkey, Minder, Made in Heaven, Diana: Her True Story (NBC film), A Wreath of Roses (ITV film). Film includes: The Affair of the Necklace. Dolya trained in Moscow and London and was educated at the University of Cambridge. Theatre for Jericho includes: Love Freed from Ignorance and Folly. Twelfth Night (Festival Budva Theatre City); Serious Money, Trojan Women, Electra (Cambridge Arts Theatre); Dark of the Moon (Lyric Studio). Television includes: The Trip; Doctors; Eastenders; Spooks; Emmerdale; Andromache; Leonardo: The Secret Life of Mona Lisa, Uraditi Pravu Stvar; From East to West. Film includes: In the Land of Blood and Honey (Angelina Jolie), The Trip (Michael Winterbottom), Wish 143 (Ian Barnes), Natasha (Ljubisa Samardzic). Radio includes: The Mumbai Chuzzlwits; The Bid (BBC Radio 4); Massistonia (BBC Radio 3); Mervyn Stone, Big Productions; Utz (BBC Radio 4). Dolya also writes, produces and has a PhD on the theatre of Meyerhold. Sian is a performer, practitioner and voice artist based in London. Since graduating from the Advanced Theatre Practice MA at the Central School of Speech & Drama, she has worked on a diverse range of theatre performances. Notable projects include performing and collaborating with Julian Maynard Smith in Nowhere at the Roundhouse Studios, devising and performing the professor in Remedies for Loneliness at the New Diorama, and working as a core member of the theatre company Debunked in their social-media inspired performance, Who’s Cloud is it Anyway? 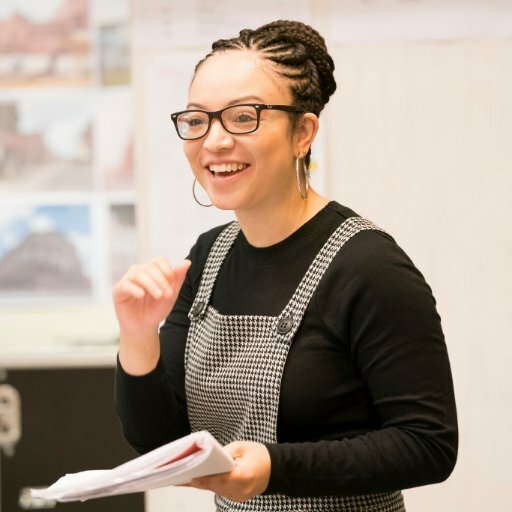 Through working with SHUNT, The Market Estate Project, Proud Galleries and the British Council, Sian has enjoyed working with exciting practitioners, taking theatre into unexpected spaces. Most recently, she has performed in the surrealist piece, Reaching Out, as part of The Significant Other New Writing Festival, at the Camden People’s Theatre.